Today, we took it easy. 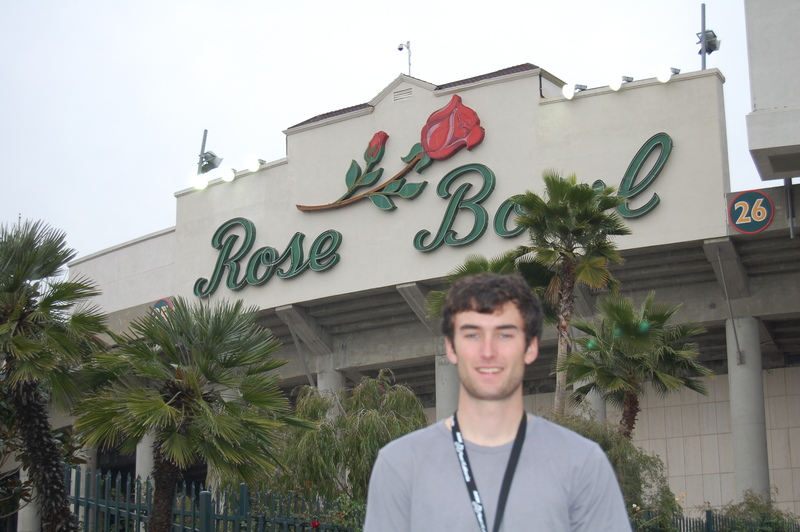 Leisurely left Santa Barbara and drove through LA gridlock to the Rose Bowl, where the stage finished today. 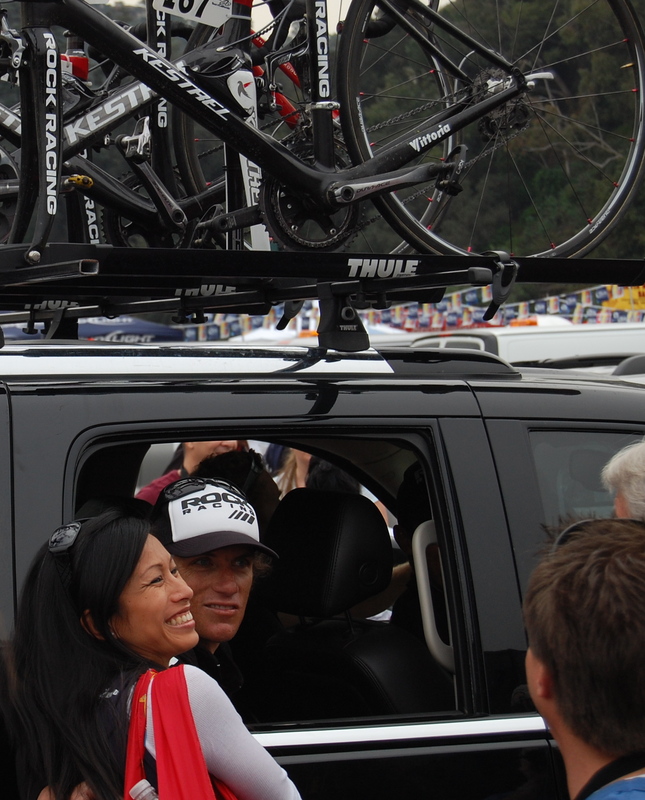 Here in LA, the cycling fans are decidedly different than anywhere else we’ve been. More worried about looking “cool” with their fixies and sunglasses. But that’s LA for ya, and at least they showed up, in droves. 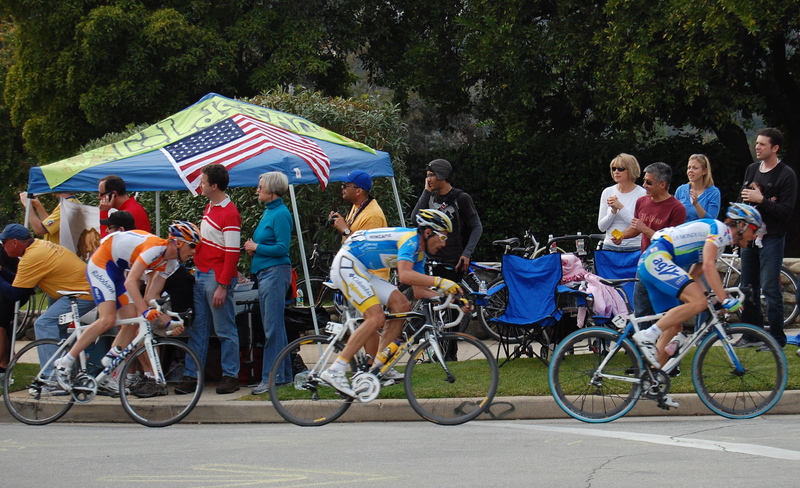 The riders did five laps around the Pasadena streets before finishing, and there was a strong breakaway that included Andy Schleck and George Hincapie (none of them threatened Levi’s lead.) I was pulling for big George, but it wasn’t to be. 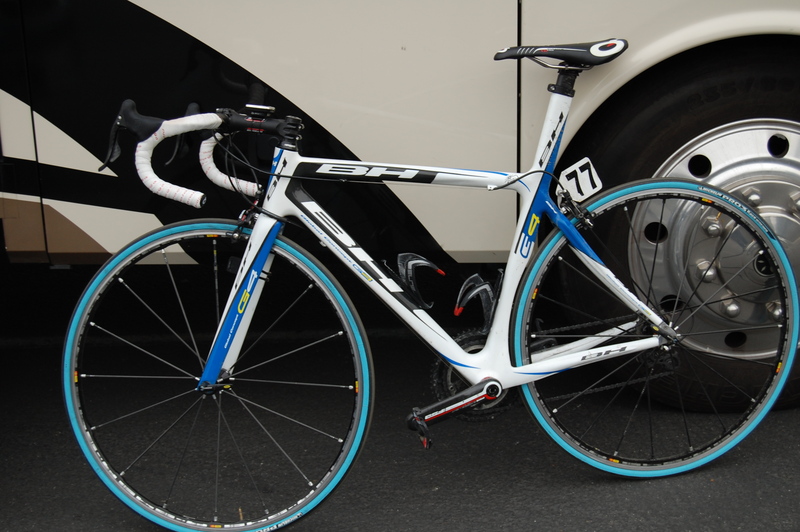 The French team Ag2r finally made a splash at the race when their rider Rinaldo Nocentini snagged the win right in front of the Rose Bowl. George Hincapie and the break. I almost got run over to get this shot. And it’s not even that great. Tyler Hamilton poses with the fans. Rock Racing pushes the “rockstar” image pretty hard. 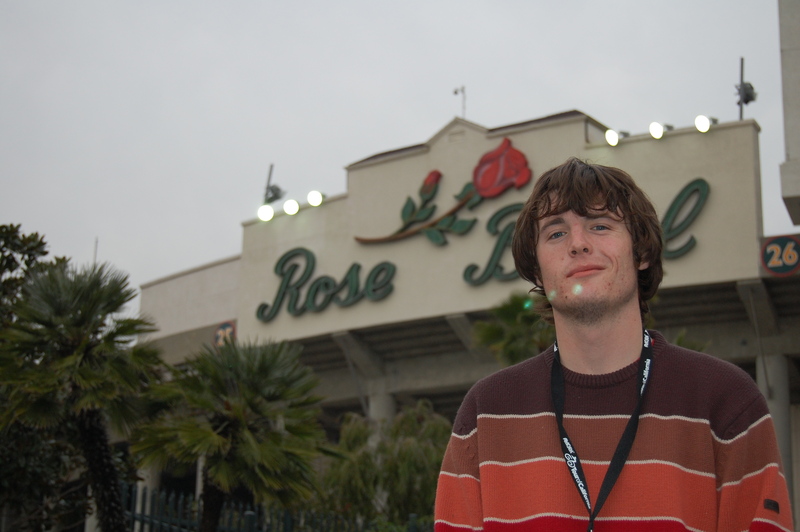 Highlights of the day: a leisurely morning, and being in the pressroom inside the Rose Bowl. I can’t believe there’s only one more stage! And then it’s a 15 hour drive back home to Humboldt. I can’t wait. 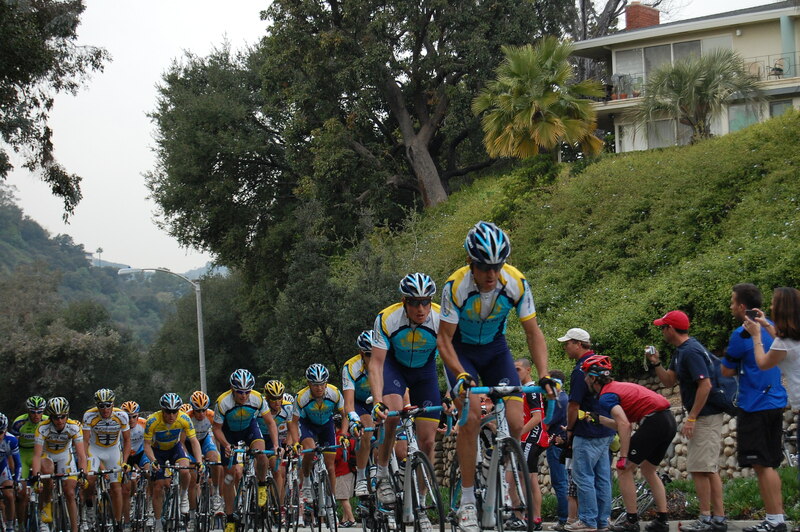 This entry was posted in HSU Cycling Club, Tour of California and tagged pasadena, tour of california. Bookmark the permalink. Dude you guys are awesome, thanks for the excellent reporting. I have been following you two guys all week. Need more babe pictures. Great stories, Luke! Can’t wait to see the video!